If you’re committed to expanding your teaching skills for classroom guitar CMI’s On-Site, Classroom Guitar Professional Development Workshops will not only show you everything you need to know to improve your teaching outcomes, but will also start you on your way to becoming a more accomplished player. These workshops are available in two levels and provide the same key teaching concepts, strategies, and classroom tactics developed by Mike Christiansen in his 30+ years of teaching classroom guitar pedagogy courses for music education majors at Utah State University. The list of topics covered is extensive and Mike utilizes CMI’s blended learning courseware to not only demonstrate best practices in skill and performance instruction, but to also give you the playing foundation to develop your own skills as a guitarist. Who is this course of interest to? Attendees will also receive an evaluation copy to CMI’s Guitar Fundamentals – Beginning or Intermediate courseware including Class Workbook and subscription to CMI Online Learning Site with related blended learning course materials, Complete course instruction and practice videos, Supplemental materials, Professional Development videos, and more. This workshop is free or has a minimal cost to attendees teaching in the sponsoring school district. These workshops are typically hosted through school districts and are qualified for continuing education through your state’s office of education. If you’d like to attend this workshop please fill out the registration form. We’ll contact you to confirm your registration as the date approaches. If the dates don’t work for you please send us an inquiry and we’ll notify you of other upcoming workshop that we’re presenting. If you are an arts or music coordinator and are interested in sponsoring a CMI Classroom Guitar Workshop for your school district please send us your inquiry. 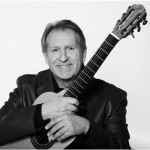 This classroom guitar professional developement workshop is taught by Mike Christiansen, distinguished author of over 40 instructional texts for guitar and one of America’s foremost experts in classroom guitar pedagogy. For more information on attending or sponsoring a CMI Classroom Guitar Professional Development Workshop e-mail us at info@consonusmusic.org or call us at 866-714-2633.